But this is maybe too complex and I don't know where to start or how. I want to implement this in Java or C so Matlab is not an option (I have seen a lot of MatLab implementing this). I will appreciate any help to guide me in the right direction! Apart from Total Variation Denoising you could try a first much simpler approach: a median-filter. You just move a window along your data and replace the current input value by the median of all data in the window. You just have to optimize the window length (by experimenting). By the way, the equations you copied into your question are for 2-dimensional data, but your data are 1-D.
Well, unless it is a more programming question (how to translate from MATLAB script to C code), you might find interesting the following implementation: click, proposed in this article: A direct algorithm for 1D total variation denoising. If your data model is Piece Wise Smooth Signal then you should use Total Variation as regularization. Where $ D $ is the finite difference method. Both are pretty easy to solve (For small signals even simple Sub Gradient Method will do nicely). 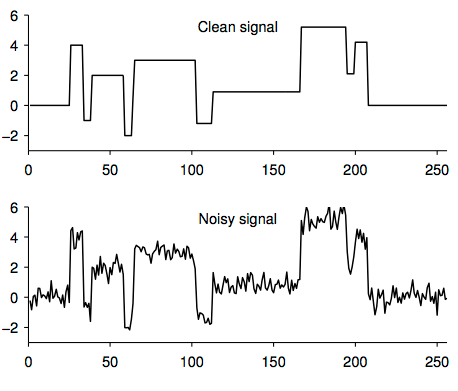 As can be seen while the Tikhonov Regularization decays the noise (Using limiting the derivative) yet leaves a signal which isn't Piece Wise Smooth, the Total Variation Regularization works as intended and almost restore the signal perfectly. The full code is available on my StackExchange Signal Processing ~14968 GitHub Repository. Not the answer you're looking for? 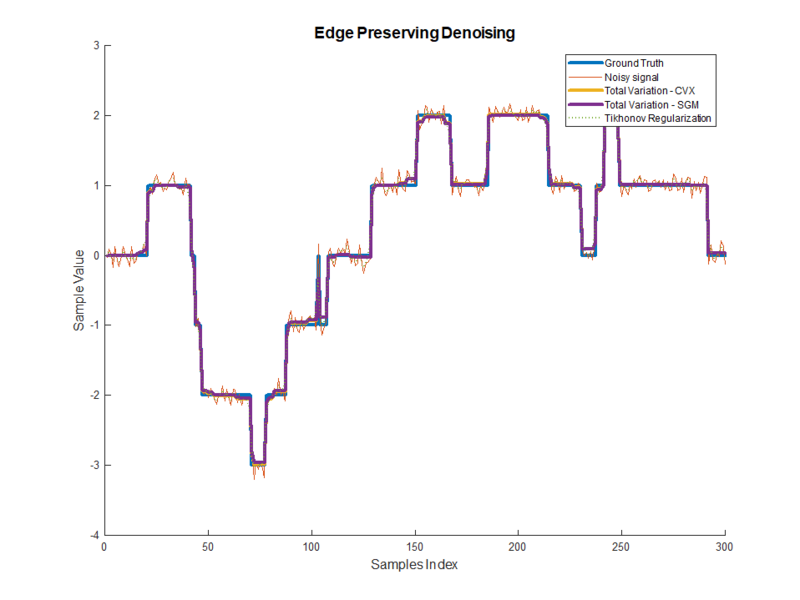 Browse other questions tagged discrete-signals noise denoising software-implementation total-variation or ask your own question. 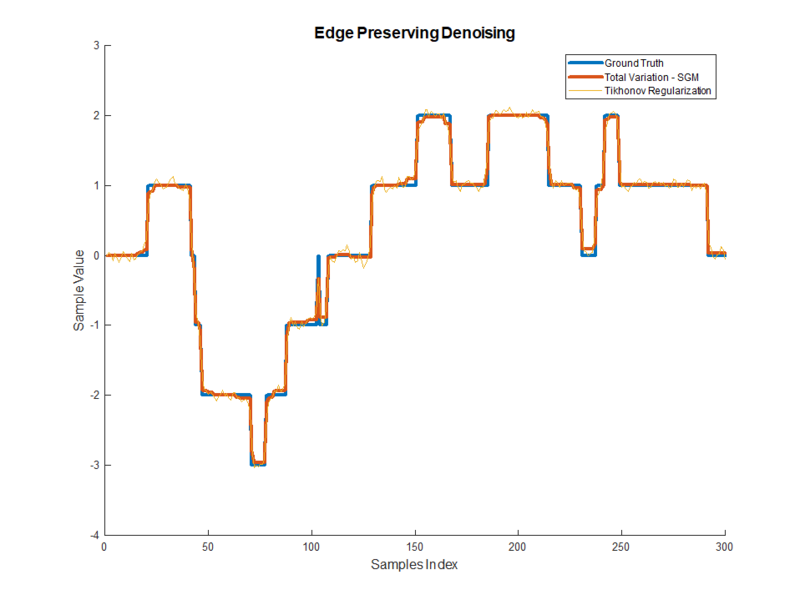 How to estimate the mean of a clipped signal?